An unusual summary of all of world history that is prioritized and organized by history’s connection to the present world. Focuses on the histories of what it identifies as the world’s five primary cultural blocs—the US, Europe, the Middle East, Russia, and China—and how those histories are intertwined. The History of Now is a history book that doesn’t go in chronological order and tries to include as few dates as possible. Unlike many history books, its aim is not to give you as many facts as possible, but to give you an overview, an integration, a package that you can retain and carry with you. This is big-picture history. I know the author and have been following his work since 2006. His adult-education tele-classes helped me fill in the outlines of world history when I had gotten so little from my schooling. So I understand his program very well, and therefore this book did not strike me personally as odd, but rather as the continuation of that program—to make history relevant and useful to the world we live in. For someone who is not familiar with Powell or his program, I have a hard time predicting how they will receive it. It is a work of synthesis, and like any work at such a grand scale it must make sweeping statements without the space to fully prove them. 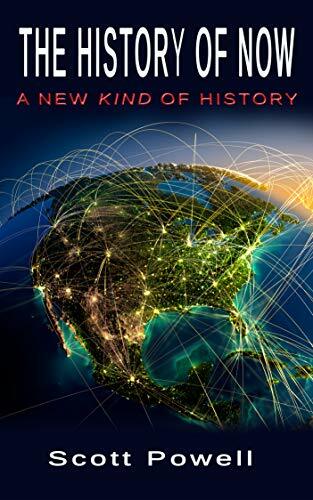 If Powell’s characterizations of certain countries or time periods resonate with you, if his choice of a handful of key dates in world history makes sense, then you will enjoy this book and get something out of it.